Good Afternoon, Good Morning and Good Night! Things have been pretty quiet at Ideal Surreal towers recently but we've been beavering away like Badgers. 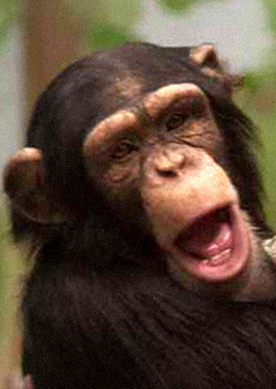 We'll be announcing our forthcoming spectacular soon but in the mean time please enjoy this picture of a Chimp because, you know, nature.